Yesterday, The HSUS and 21 other organizations - from the Detroit Zoo to the Center for Biological Diversity and the Wisconsin Federated Humane Societies to the Sault Sainte Marie Tribe of Chippewa Indians - petitioned the U.S. Fish and Wildlife Service to downlist wolves from "endangered" to "threatened" status across most of their range in the lower 48 states. We took this action, along with so many other wolf-protection organizations, to maintain critical federal protections for the fragmented populations numbering just 5,000 or so wolves in the coterminous United States, and to give federal and state wildlife agencies more latitude to manage the occasional rare conflicts between wolves and people. This action comes in the wake of two recent federal court rulings, in litigation brought by The HSUS and other groups, that restored federal protections for wolves in the Great Lakes region and in Wyoming - a very significant portion of their current range in the United States. In response to these court rulings - which rebuked the U.S. Fish and Wildlife Service for its piecemeal delisting of wolf populations in select portions of their range - anti-wolf politicians are beating the drums for Congress to intervene and delist wolves entirely, subverting the core principles of the Endangered Species Act and substituting a purely political decision for one that balances the diverse views of stakeholders with biological, economic, and social concerns. 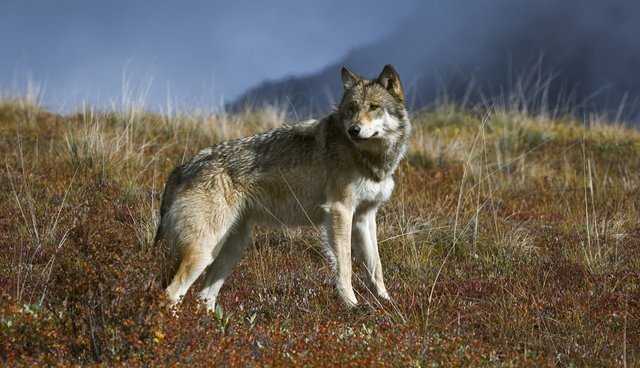 Our plan respects the purpose and intent of the Endangered Species Act, but gives a nod to the folks who want more active control options for wolves, especially ranchers, while not ceding control of wolf management decisions to state agencies that have consistently demonstrated an overreaching, reckless and even cruel hand in dealing with wolves in their states. The states, in short, have caved in to the interests of trophy hunters, trappers, houndsmen, and ranchers and not properly handled their responsibility to care for animals whose numbers are still limited and whose ecological and economic benefits are routinely undervalued. "The ecological benefit of this keystone species is staggering - gray wolves counteract negative impacts of overpopulation of prey species, have an important moderating influence on other predator species, and protect and facilitate ecosystem health," our petition to the U.S. Fish and Wildlife Service reads. "The wolf is one of our nation's most effective and important protectors of biodiversity in the environments in which it is found." Wolves also provide enormous economic benefits. The presence of wolves has been a lure for tens of thousands of people who trek to Yellowstone and other wolf ranges to see a wild wolf. Wolves are a potential ecotourism boon throughout their current range and the areas they are likely to recolonize in the future. And while wolves kill a small number of sheep and cattle, they kill native hooved animals with far greater frequency, keeping populations of deer and elk in balance - removing sick and weak animals, preventing slow starvation, and limiting deer-auto collisions and deer depredation on crops. I am not aware of any comprehensive analysis that compares these economic impacts, but I have no doubt that the minuscule livestock losses that wolves account for are dwarfed by the savings achieved by wolves keeping the impacts of deer and beavers and other prey species in check. What's more, a recent peer-reviewed study from researchers at Washington State University demonstrated that random trophy killing and even depredation of wolves may not have the intended population control effect, and may spur more wolf breeding. In short, what the states had been doing prior to the court rulings - killing large numbers of wolves, most at random - was not helping and may have been harming their management objectives. Of all of the larger predators in the world, wolves appear to be among the least dangerous - with no known attacks by a healthy wolf on a person in the coterminous states. Yet, there is still, among a small subset of people in the United States, fear and loathing of the animals, grounded more in myth than in fact or science or experience. It is time to put these canards aside, and to live with wolves, as people in Africa live with lions and people in Asia live with tigers. We have the best deal, in having extraordinary canine predators upon our lands who also almost exclusively stay away from people and generally stick to their traditional prey, which when unrestrained by native predators can have adverse impacts on forests, crops, and roads. This proposal is a rational middle-ground approach that balances wolf protection with the practical realities of dealing with the occasional problem wolf, and it provides a reasonable pathway forward on what has been a controversial issue in wolf range states. Members of Congress and the Obama administration should embrace this compromise solution, and reject the extreme efforts of some anti-wolf politicians to eliminate all federal protections for wolves by legislative fiat. Tell Congress to keep wolves protected.